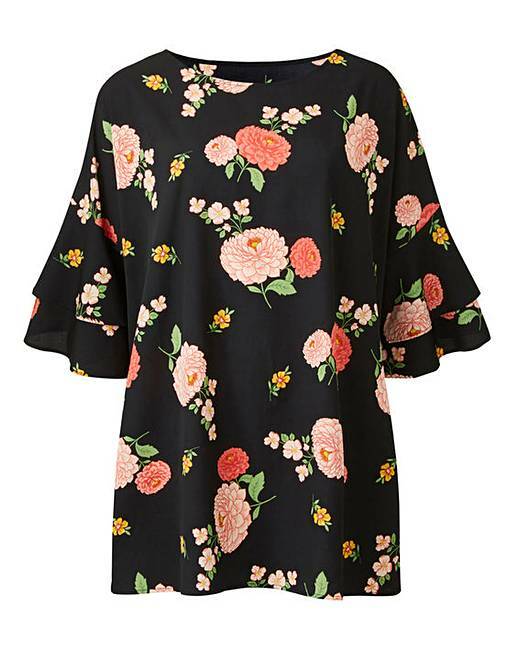 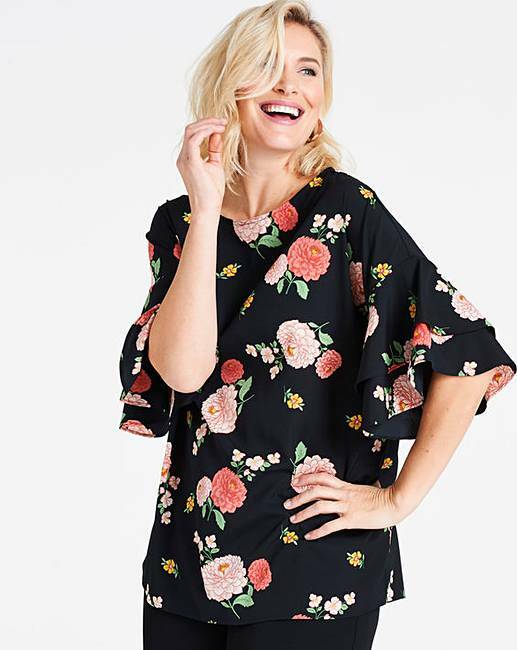 Black Floral Frill Sleeve Shell Top is rated 4.5 out of 5 by 2. 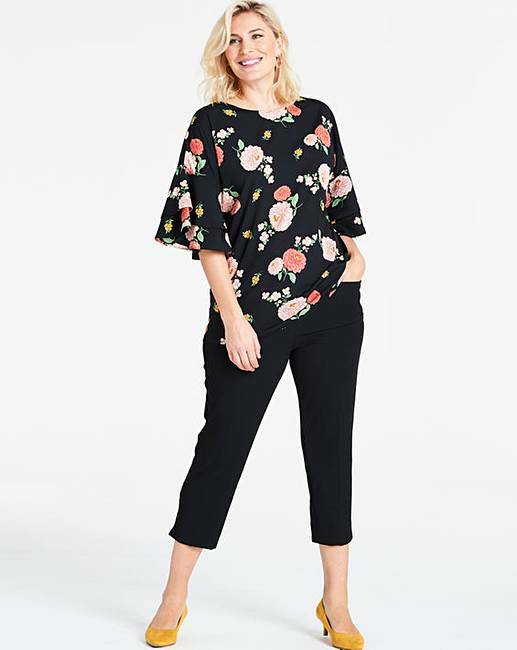 Look great this season in our frill-sleeve shell top. 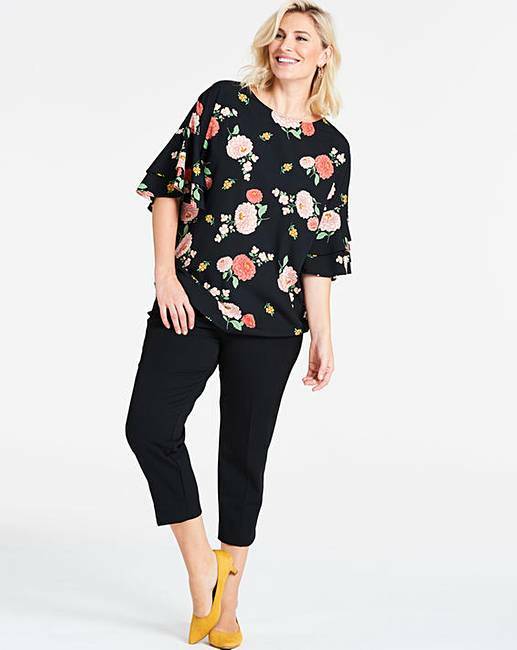 The shell top is fashioned from a double-layer frill sleeve and is available in a variety of prints and colours. 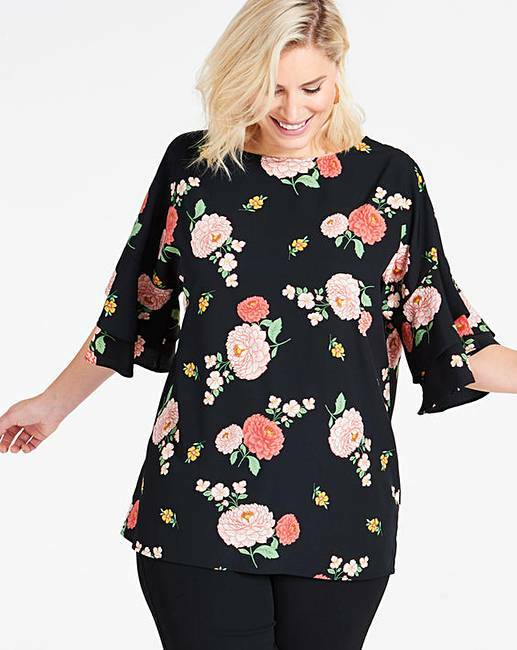 The blouse is easy to wear and looks great with jeans for the perfect daytime look.